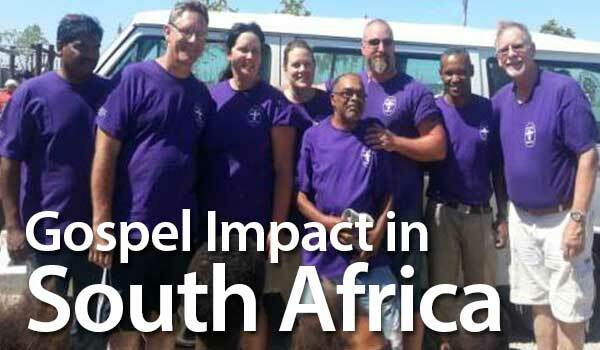 Wade and I had the privilege of leading our first team to South Africa. To say that we were a little nervous is an understatement. This would be Wade’s second trip to South Africa and my fourth. However, this would be our first without the guidance and wisdom of Rich and Ruth Irish. Trusting God and the willingness of the team, we looked forward to what God had in store. We had a relatively small team, but they were the best. God knew exactly what He was doing when He put this team together. This trip was a bit different in regards to what we were going to be doing. The guys put on a couple different welding classes. God once again showed His plans were better than ours. While at Blikkies Dorp, they needed to find a place to hold the class. The first 2 places they tried wouldn’t work or had no electricity. So off went Pastor Bob, and they asked a lady if they could use her place. Ester agreed and we found out she was a follower of Christ and had just moved there days earlier. We also had the privilege of doing 3 different ladies events where I was able to share my testimony and speak on Psalm 139. We also made gospel bookmarks and even painted their nails. So much fun loving on ladies whose lives are not easy at all. We also gave out reading glasses and helped with children’s ministry. Our last kid’s ministry had over 400 kids and over 125 accepted Christ. These experiences were overwhelming on many levels. God was so faithful. We want to say thank you to everyone who prayed for this team. We could feel the prayers! We hope this can give you a glimpse of our trip and just how awesome our God continues to be.